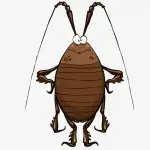 Oriental roach is also known as black roach and they are also called as water bugs- because they come out from the drain or black beetles cockroach because of their dark body color. 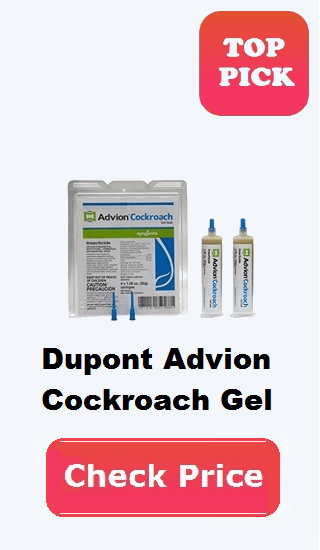 Often it calls Chinese cockroaches. Black roach is generally 1.25 inches long and they have a shiny black skin. Both male and female have flown but they do not fly. Adult male wing covered ¾ of their abdomen. Female is generally 1 and ¼ to 1 from the length of the male. More details other cockroaches identification. 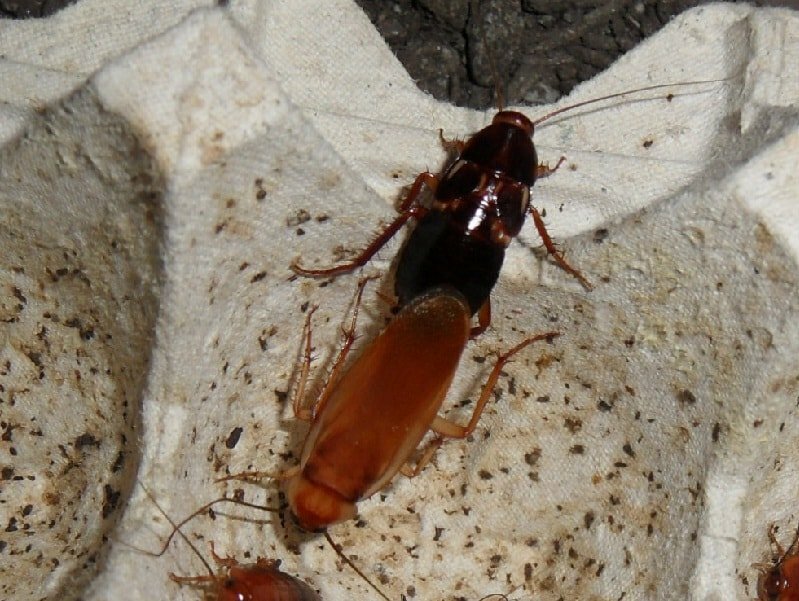 In 35 to 180-day life cycle a single black cockroach can reproduce up to 8 egg cases.each egg case contains 16 eggs. Male Oriental lives on average 110 days to 160 day and female live 35 to 180 days.female lay egg case in the protected area and stay close until the young hatch. The adult is abundant in early spring and nymph are abundant in late spring. They can be found in the dump area such as basement, kitchens, leaves, stones, and firewood. They can survive in freezing temperature. Oriental cockroaches oothecae are around 10–12 mm (0.39–0.47 in) long, with indistinct egg compartments housing 16–18 eggs. These oothecae or egg case are formed a day after mating, and typically deposited a day or two after formation, though can be deposited up to 7 days later, typically in a sheltered area or attached to a substrate by oral secretion.At first the oothecae are initially a yellow white, turning reddish- then blackish-brown. Oothecae hatch on their own in about 42 days at 29.5 °C (85.1 °F) and 81 days at 21 °C (70 °F). Top Trending Post: Are Water Bugs Harmful? Blatta orientalis like decayed organic matter and they generally reproduce around garbage cans. They generally prefer starchy food. oriental like decayed organic matter and they generally reproduce around garbage cans. They generally prefer starchy food. you can caulk all penetrations in the ground level wall. you have to stop water leaks and drain overflow water. you have to remove rotting leaves from window walls. garbage can should be moved from moist habitat. Use Most popular raid max bug barrier review.